Hopefully you’ve made the switch to Lion. Although I wasn’t impressed initially, I really do like the extra features and am putting them to good use. However, you might be wondering if some of your old apps will still work. 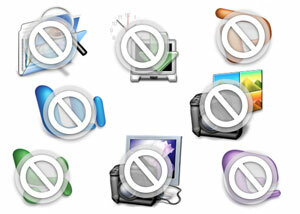 Power PC apps are no longer supported, but if you’re like me, you don’t know what apps were power PC or not. If you’re wondering about a specific app and searched through Google, hopefully you’ll find this list helpful. I’m just reporting apps that are unsupported by Lion as I find them. Hopefully this helps people wanting to make the jump to Lion. I keep discovering more as I start to use those apps I use less frequently. This isn’t a definitive guide, please leave a comment below if you have any additions. Desktastic 3.0 by Panic, Inc. There are more to be added soon. That’s just what’s on my Laptop. Camouflage by Briksoftware doesn’t work. Or at least not until you make the upgrade. I did this through the app store. But there are a few things to keep in mind. Read:How to get camouflage working after upgrading to Lion. What an adventure still to this day upgrading to Lion! I spent a few days playing catch up with various apps. A big one for me was the Tungle App Mac connector which helped sync your Tungle.com scheduled meetings with your Mac. Frustrating to say the least. But alas Apple is guarding iCloud as they do with everything else. Other then that there was just a few updates to take care of. Wish I would have looked a bit more into it before upgrading though to be prepared. Hi Kye Grace. I’m still recovering from the switch. Lost a couple of my favourite apps that are no longer in development and have had to find alternatives. Alas, it wasn’t as catastrophic as the switch form PowerPC to Intel.